This panel aims to expand the speculative design framework in order to dialogue with and incorporate humanistic methods of research and pedagogy. We argue that the future-facing formation of provocative designs – densely packed with cultural information – provide profound potentials for pedagogy and the production of knowledge. At their core, all of the projects explore temporality and spatiality in order to provoke novel design insights, critique the present, and envision alternative potential futures. Collectively, the panel members’ interdisciplinary work represents the evolving role of critical future-facing design practices within academic scholarship and teaching. The panel will explore their digital scholarship methods that infrastructure the imaginative (and often collective) work and make it accessible to wider publics. The projects represent a range of formal outputs including 3D printing, AR/VR, video, and Scalar. The structure of this panel is developed strategically to create dialogue between reflective methodologies and specific projects. Our methods collectively propose pedagogical models of creative participation and speculative imagining. While Sankofa City and Worldbuilding, Autobiographical Identity + Pedagogy both work with participants throughout all the stages of the design process, Marías Clandestinas uses speculative design with the aim of developing open-source participatory fabrication methods, and Immersive Design Fiction creates interactive experiences that productively integrate speculative and experiential approaches to design. Each of these panel presentations will situate design practices in relation to concerns of digital scholarship, critically engaged research, and design as pedagogy. Central to these concerns is a basic reforming of the concept of pedagogy around design thinking processes, digital tools, and community/public participation. Our assumption is that design reformulates pedagogy by empowering students and communities/publics in the learning process, destabilizing the hierarchies of pedagogy to place participants on more equal footing. In this way, pedagogy is not merely a dissemination of knowledge as much as it is a co-creation of design and meaning. These talks position the speculative design process as a form of creative scholarly inquiry. Designed objects and experiences serve as provocations that critique the present or offer alternative visions of our collective future. Moreover, by empowering participants and incorporating cognitive and cultural diversity into the design process, design teams can develop news ways of addressing “wicked problems” and exploring unknowable futures. In this intervention, we highlight the struggles between new technologies and the ever-changing control of the female body. We introduce our project, Marias Clandestinas, a DIWO-bio (Do-it-with-Others biotechnology) speculative design project which responds to the rise of the DIY abortions, with an active online support network, and several open-source mass-customized tools. We focus on the concept of DIWO as a project development model which enables like-minded people to collaboratively work on tasks, projects, or activist causes. DIWO also inherits a grassroots type of community formation away from formal structures and institutions. In our DIWO-bio project, we describe our separate practices, and how we approached collaboration touching upon the traditions of participatory culture, tactical media, biopolitics, tactical biopolitics, citizen’s science, and speculative and critical design’s wide spectrums that are in conversation with our project. This panelist will focus on experience teaching across three semesters in the USC Worldbuilding Course, as well as on her dissertation focused on mobility disability and autobiographical identity. These projects contextualize digital media tools for collaborative design. Through worldbuilding, the creation of knowledge is a collaborative and holistic experience of design, and digital tools provide us with structures for sharing research and knowledge across the team. Not only this, the final outputs of the design process can include publications of digital research documents, in addition to conventional transmedia outputs: artifacts, films, VR experiences, etc. These processes also reflect a modified approach to pedagogy, since worldbuilding as design methodology strives to engage participants, students, teachers, and community members on an equal level. The discussion will further include research into design as applied to autobiographical identity. 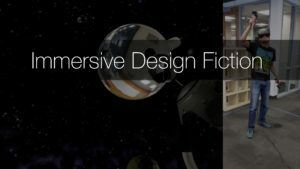 Techniques such as speculative design and design fiction offer important reminders that any story we tell about a new technology is also a story about the broader social practices that we imagine growing up around it. However, these sorts of approaches traditionally leave much of the actual experience of a speculative technology up to the imagination of a user or viewer. This gap between what can be imagined and what can be experienced is a significant one, but one that design researchers can overcome by leveraging emerging tools of immersive design. In particular, richly immersive technologies, such as room-scale VR, offer design researchers new tools for exploring speculative interfaces within an experiential world. This talk presents a case study of a research lab’s collaborative exploration of speculative interfaces for creative work in the context of industrial design. 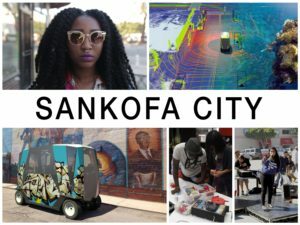 Sankofa City is a speculative participatory design project that works with local community members in South LA to envision and plan for how urban-based technologies will be incorporated in their neighborhood by 2050. 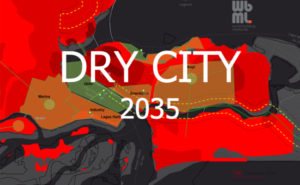 In the face of “disruptive” emerging technologies and the threat of cultural displacement, the project seeks to create alternative models for local innovation, cultural preservation, and sustainable urban development. 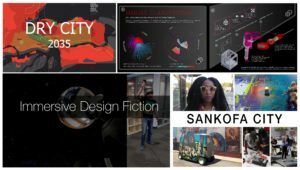 University students worked in teams with local residents and artists to create speculative design artifacts and videos to model imaginative alternative futures and spark critical public discussion. Balancing ethics with aesthetics, the combination of participatory and speculative processes create a provocative public-facing series of co-designs that are rooted in local cultural practices and their desires for the future. 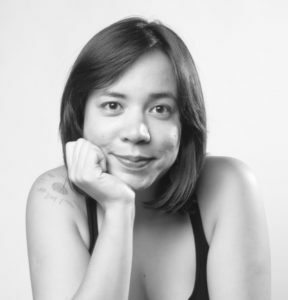 Emilia Yang is an activist, artist, and militant researcher. 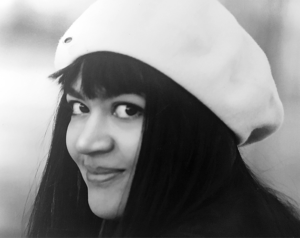 Her work has been interconnected with digital media, performance, and public art. Yang is currently pursuing a PhD in Media Arts + Practice at the School of Cinematic Arts at the University of Southern California, Los Angeles. 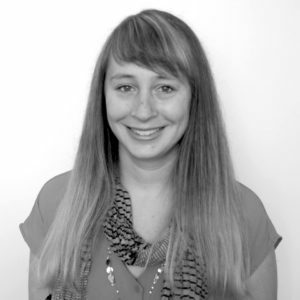 Her research focuses on participatory culture and its relationship to media, arts, and design. She is interested in how transmedia storytelling and postcolonial new media practices can foster social change and civic engagement. Her art practice utilizes site-specific interactive installations, documentaries, fictions, games, performance, and urban interventions to engage participants in political action and discussion. Biayna Bogosian is an architect and interactive media designer researching perceptual and cognitive interaction design that highlight the relationship between urban and environmental data patterns. Biayna is pursuing a Ph.D. in Media Arts & Practice in the School of Cinematic Arts at the University of Southern California. She holds a Master of Science in Advanced Architectural Design from Columbia University, and a Bachelors of Architecture from Woodbury University. Since 2011, Biayna has taught digital media and architectural design courses at Columbia University Graduate School of Architecture Planning and Preservation and USC School of Architecture. Biayna is principal of Los Angeles-based studio Somewhere Something that works at the intersection of architecture, urban design, interaction design, and digital fabrication, in order to change the way we perceive and construct our cities. 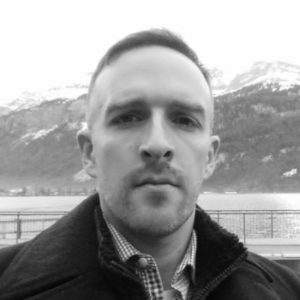 Joshua McVeigh-Schultz is an interactive designer and media artist who recently earned a PhD in the Media Arts and Practice from USC’s School of Cinematic Arts. 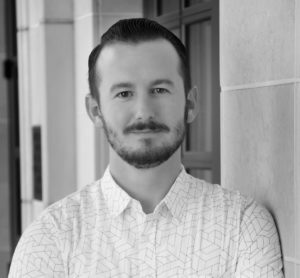 His research focuses on the intersection between speculative design and ritual, and his current work leverages VR to envision the future of industrial design (through a partnership with Steelcase’s Futures of Work group). He was awarded an Intel PhD Fellowship for his dissertation on speculative rituals of liveness. He has conducted research in USC’s Mobile & Environmental Media Lab, Intel Labs’ Interaction Experience Research Group and Microsoft Research’s Social Media Collective. He also earned an MFA from UC Santa Cruz in Digital Arts & New Media and an MA in Asian Studies from UC Berkeley. Laura Cechanowicz is Los Angeles based designer and worldbuilder, working with research and theory. She works across mediums, including animation, film and VR, production design, and sound design. Thematically and formally her work explores embodiment and memory through identity and neuroscience, the intersections of art and science, and the ways people record and transcribe personal histories. Laura’s theory and practice research focuses on the human body. Her passion is participatory art as social practice, and she views teaching as an integral part of this work. Laura earned her BA from the University of Michigan with Film & Video, Psychology and German majors, her MA in Film Studies from the University of Iowa, and her MFA in Animation from USC. An Annenberg Fellow, her production design talent was recognized at the 2015 Berlinale, and her work in world building design exhibited at the 2016 Venice Biennale. She is a USC iMAP PhD student and a member of the USC World Building Institute.